Cultivate a stronger sense of community—find your niche and rise together. We know that many valuable lessons are learned both inside and outside of the classroom. Whether you’re attending online or at a campus near you, the best way to connect to campus life is by getting involved. Make lasting connections, experience personal growth and enhance your overall university experience by participating in a Recognized Student Organization (RSO). Through involvement in our officially-recognized honor societies, professional associations, academically‐focused interest groups or philanthropic organizations, you’ll have the opportunity to experience personal growth, cultivate leadership ability, gain professional knowledge and skills and develop career plans. Each organization offers a unique experience that can help you build personal and professional relationships with fellow students and expand your network within your community and beyond. Interested in joining an RSO or starting your own? Email us at student.organizations@phoenix.edu. Find an organization that piques your interest or start your own. 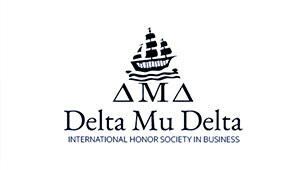 Explore the Delta Mu Delta homepage for more information.